Tampa Foreclosure Defense Attorney Archives | Florida Law Advisers, P.A. High student loans, housing costs, and medical expenses have caused many Americans to struggle financially. Luckily, there are options to help alleviate the burden and get a fresh start. Many of the options available to consumers will even stop a HOA foreclosure sale. If you are considering relief through bankruptcy or facing the possibility of foreclosure, it is important to speak with an experienced bankruptcy attorney to determine the best course action for you. To schedule a free consultation with a bankruptcy attorney in Tampa call us at 800 990 7763. Typically, if a homeowner is behind on their mortgage payment for 90 days the lender will file for foreclosure in Court. Florida is a judicial foreclosure state, that means the bank must go to court and receive approval from a judge before foreclosing on a home located in Florida. See Florida Statute 702.01. 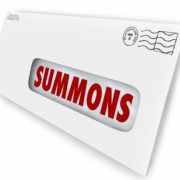 The court process can move quickly if action is not taken to prevent the foreclosure. If foreclosure proceedings have begun, contact a foreclosure defense attorney right away. There may be legal defenses that can be used to prevent the foreclosure of your home. Additionally, there may be other options available, such as deed in lieu of foreclosure, loan modification, or short sale. For more information about each of these options contact a foreclosure defense lawyer in your area. Banks are not the only institutions that seek to foreclose on homes in Florida. Thousands of foreclosure cases are filed by homeowner’s associations in Florida each year. HOA’s are very aggressive, in some cases seeking foreclosure when the homeowner is only a few dollars behind on their bill. Further, it is not uncommon to have a balance of only $100 increase to over $5,000 after the HOA adds their late fees, interest, and attorney fees. Fortunately, there are options that can help prevent an HOA foreclosure sale. Similar to banks, the homeowner’s association will need to file a foreclosure case in court and receive approval from a judge before the home is foreclosed. See Florida Statute 720.3085. During the court process, the homeowner will have an opportunity to raise defenses and challenge the foreclosure. To learn more about the possible legal defenses to foreclosure by an HOA contact a Tampa foreclosure defense lawyer in your area. If you are thinking about filing for bankruptcy or are being threatened with foreclosure contact Florida Law Advisers, P.A. Our bankruptcy attorneys in Tampa are experienced in both bankruptcy and HOA foreclosure defense. Every case is different, our vast experience allows us to cater our services to each client’s individual needs. All of our initial consultations are free and convenient payment plans are always available. Regardless, if you need help with bankruptcy or foreclosure defense we will provide you competent legal advice you can trust. Call us now at 800 990 7763 to speak with a lawyer, we are available to answer your calls 24/7. Homeowners are often surprised to learn that their homeowners’ association may be able to foreclose on their home. HOA’s may be able to seek foreclosure in Florida for missed payments, failure to maintain property. Additionally, there may be other grounds set forth in the Association’s declarations and by-laws. In many instances, an HOA foreclosure in Florida will even involve homes with no mortgage or other liens. Fortunately, there are ways to fight back against an HOA foreclosure in Florida. 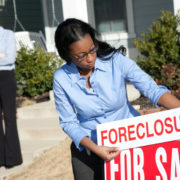 If you are being threatened with an HOA foreclosure contact a foreclosure defense lawyer for assistance. 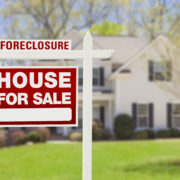 Florida is a judicial foreclosure state, that means a party seeking to foreclose a home must go to court and receive approval from a judge before a home is sold at a foreclosure action. This includes not just banks, homeowners’ associations must also go through the judicial process. Unfortunately, many HOA’s are very aggressive and will seek foreclosure if a homeowner fails to pay the HOA’s fees. In fact, many HOA cases stem from balances due of less than $100. Homeowners facing an HOA foreclosure in Florida should contact a Tampa bankruptcy attorney for assistance. Bankruptcy can potentially provide additional options to stop the foreclosure and help keep your home. When a debtor (borrower) files for bankruptcy an automatic stay is put in place as soon as the Chapter 7 or Chapter 13 bankruptcy is filed. See bankruptcy law 11 U.S. Code § 362. The automatic stay requires all collection activity against the debtor to stop immediately, including a foreclosure sale that has already been scheduled. For more information on the automatic stay click here. A Chapter 13 bankruptcy filing could allow you to avoid an HOA foreclosure in Florida all together by working out a repayment plan over a span of three to five (3-5) years for the arrearage, otherwise known as back-due payments. Essentially, the homeowner will have a 60-month loan to repay the back-due HOA fees. Most of the time, the interest rate applied to these types of payment plans is around 6%. For more information about a specific case or payment plan contact a lawyer in your area to schedule a consultation. Under Chapter 13 bankruptcy law, junior liens (including mortgages or a homeowner’s association liens) can be stripped, or removed from homestead property. Thus, if the lien is stripped down to the market value, the remaining balance of the debt will be treated as an unsecured debt in bankruptcy. Usually, Unsecured creditors receive nothing or only a small amount of the balance before being discharged. Further, after the discharge is granted in your bankruptcy case the lien holder (HOA) will be required to remove the lien from the property. For more information on why the discharge is so important, click here. If you are thinking about filing for bankruptcy or are being threatened with an HOA foreclosure in Florida contact Florida Law Advisers, P.A. Our bankruptcy attorneys in Tampa are experienced in both bankruptcy and foreclosure defense. Every foreclosure and bankruptcy case is different, and our vast experience allows us to cater our services to each client’s individual needs. All of our initial consultations are free and convenient payment plans are always available. Regardless, if you need help HOA foreclosure in Florida, Chapter 7, or Chapter 13 we can help. Call us now at 800 990 7763 to speak with a lawyer, we are available to answer your calls 24/7. Florida is a judicial foreclosure state. Therefore, a bank or homeowners’ association must receive court approval before foreclosing on a home located in Florida. The bank or HOA must file a petition for foreclosure in the circuit court where the property is located. Afterwards, they must serve the homeowner with a copy of the foreclosure petition. While the foreclosure case is proceeding in court, the homeowner will have a right to raise legal defenses to the foreclosure. If the foreclosure sale of your home has already been scheduled, you should contact a foreclosure defense attorney in Tampa right away for advice on how to cancel a foreclosure sale in Florida. There may be legal defenses to the foreclosure and options to modify your loan, which will allow you to keep the home and stop the sale. If the foreclosure sale is already scheduled it’s important to seek assistance from a Tampa foreclosure defense lawyer right away. To stop a foreclosure sale there must be an order from the Judge cancelling the sale; otherwise, the sale will move forward as planned. The homeowner must prove one or more adequate factors exist in order to cancel a foreclosure sale. See Florida foreclosure case Chase v. Arsali. A foreclosure defense attorney in Tampa should be able to point out which equitable factors may be helpful for how to cancel a foreclosure sale in Florida. If you did not hire an attorney for assistance with how to cancel a foreclosure sale in Florida, you may be able to void a sale that already occurred. When foreclosing on a home, the lender must follow the strict procedures proscribed under Florida foreclosure law. See FL Statute 45.031. 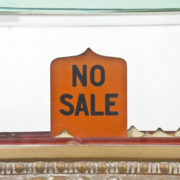 If the lender did not follow proper procedures in noticing the sale there may be grounds to cancel the sale. However, even if the bank fully complied with the requisite procedures the sale may still be overturned if there was a material irregularity in the sale process. See UM Publishing v. Home News Publishing. Regardless, it is still recommended to try and cancel the sale before it occurs. If you wait until after the sale occurs, you may lose options you would have otherwise had to keep the home. A common solution for people seeking how to cancel a foreclosure sale in Florida is to file bankruptcy. Immediately after a homeowner files for bankruptcy an automatic stay will go into effect. See 11 USC 362. The stay requires all collection activity against you to stop immediately, including a scheduled foreclosure sale. Creditors and collection agencies will not be able to contact you, garnish your wages, or repossess your property while the automatic stay is in effect. Additionally, in Chapter 13 you can force the bank to modify your mortgage. If your mortgage is modified you wont have to worry about how to cancel a foreclosure sale in Florida. If you are at the risk of losing your home to foreclosure contact us to speak with a foreclosure defense attorney for information on how to cancel a foreclosure sale in Florida. Homeowners have many options when it comes to fighting foreclosure. At Florida Law Advisers, we want to make sure our clients choose the best strategic plan for their family. Whether you want to keep your home and prevent foreclosure, or walk away from your home without being responsible for any of the debt, we can help. Our initial consultation is free and we offer flexible payment options to all of our clients. To speak with a foreclosure defense lawyer in Tampa call us today at 800 990 7763.